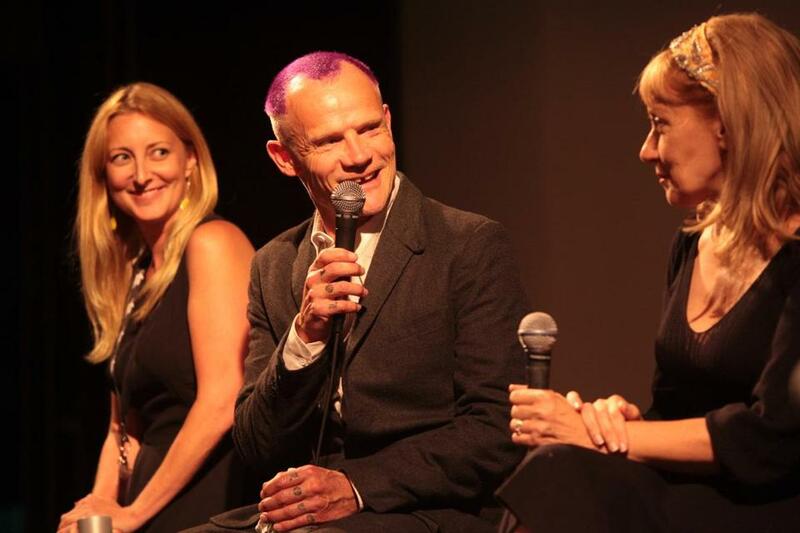 Red Hot Chili Peppers bassist Flea with “Low Down” production supervisor Amy Green (left) and film co-writer Amy Albany. Red Hot Chili Peppers bassist and occasional actor Flea was one of the special guests at the New Hampshire Film Festival over the weekend. He was there to talk about “Low Down,” a film co-written by Amy Albany, based on growing up with her late father, musician Joe Albany, who played with Charlie Parker and Miles Davis. Flea plays a character named Hobbs in the film and is also an executive producer on the project. (Amy is played by Elle Fanning.) Flea and Amy revealed during their festival press conference that they met when he hit on her at an LA supermarket.